Inventory management can be a headache, especially if it is not your core business. Many business owners may not have good warehousing and distribution systems in place. There is a lot involved. You need the physical storage space and staff to manage it which means a capital outlay to set up. Poor inventory management can lead to slower fulfilment of orders to customers. This slows down the cash flowing in while it is still flowing out. It can cause higher supplier costs, so you have less money to cover operational costs. However, it does not only cost that poor management effects. It impacts customer service when you cannot find what they want. So, customers either have to wait for you to get the item in or buy the product from another business. Disorganisation increases staff levels when they spend too much time fulfilling orders. This means they will spend too much time dealing with customer affected by stock issues. Everything should be easy to find in a matter of minutes to reduce operational costs. When your warehousing and distribution is in disarray, it is time to do something about it. For if you continue to work this way, it can put you out of business. It is not uncommon for warehouse staff to struggle when the facility lacks good systems. Order returns because of fulfilment errors, and distribution delays will cost you money. It also affects customer service and your reputation. If this sounds like your facility, it is time to get things in order. You need to keep up with increasing demands to the warehouse and distribute your stock to keep customers happy. 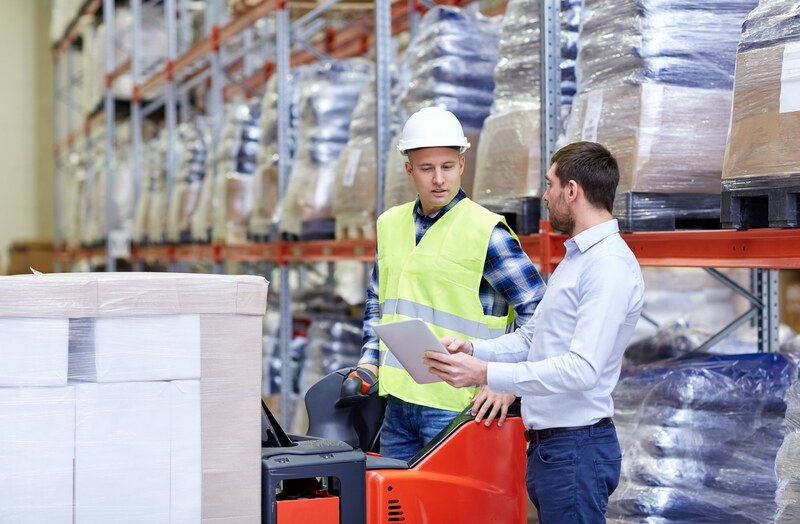 Here are five tips to help you make changes to your warehousing and distribution system. Evaluate the setup of your warehouse. Ensure all storage locations and products are clearly marked. Have similar products stored close together. And, make it a point to know where everything is. Use storage bins, shelves and drawers to prevent clutter throughout the warehouse. Install shelves at a height that accommodates the size of the products to maximise space. Know what products are your best-selling lines and store them close to the dispatch area, so they are easy to access. When you first start organising your storage space, there may be all sort of challenges to solve. However, at the same time, you can find many opportunities. Implement a warehouse management system (WMS) using the software on your computer system. This will allow you to control your inventory from the time it arrives at the warehouse until it is sold and distributed. By using a WMS, you will know exactly what you have in stock at any time, whether it is sitting in the warehouse or in transit. Make sure you do your research when looking for WMS software as there are many on the market. Good organisation makes it easy to find and fulfil customers’ orders for dispatch, and it cuts down costs. The sooner you organise your warehousing and distribution areas, the sooner you save money. And, this will improve customer service improve. Before you invest in warehouse systems, explore the options. It does not always have to cost you a lot of money. Automating your inventory can be as simple as using a WMS that also has bar-coding facilities. These use barcode readers to scan products, so you have a real-time view of your stock. 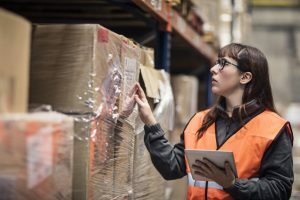 Are you still using manual processes throughout your warehouse? It is time to change if you still track your inventory using manual processes. It is costly in staff time and contributes to the cost of product losses. Barcoding technology allows staff to scan products when someone buys an item. The system records the price and adjusts the total in stock. This makes it easy to carry out regular stock counts to catch any discrepancies between what the software says you have and what is actually on hand. Yearly stock counts will be a thing of the past. You need to do these more often to be efficient. Whether you do them weekly, monthly or quarterly depends on how much stock is in your inventory. While this may sound like extra work, these stock counts focus on your bestselling and seasonal products. A WMS can generate reports, so you know when to replenish certain products. These reports also allow staff to see whether a product is in stock. Automating inventory control also reduces human error when processing stock control and distribution. This gives you greater control of your stock, so there are fewer mistakes when filling orders. 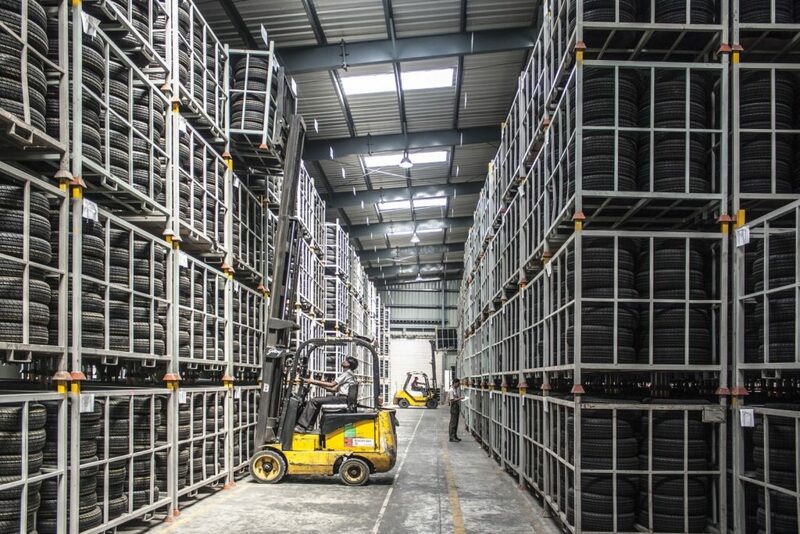 As warehousing and distribution centres evolve, they adopt cutting-edge technology as part of everyday use. Technology like wearable devices makes warehouse staff jobs much easier and more accurate. It gives staff the freedom of mobility throughout the facility. No longer do they need to rely on heavy handheld devices they have to pick up and put down all the time. Wearable scanning devices provide 3PL warehouses cost savings and flexibility which improves operational processes. With many wearable devices available on the market, they are small, lightweight computers that are also scanners. You have a huge variety to choose from so consider the size of your business, set up and how it functions. The most common wearable devices include voice-directed headsets, smart glasses and wrist or ring scanners. These are ruggedised and designed for operational use in 3PL warehouse environments. Warehouse work is repetitive. Order fulfilment, picking out products and putting away stock is a large percentage of operational costs in a warehouse. These wearable devices reduce staff costs and improve productivity, efficiency and safety. Working in a handsfree environment allows staff to be more effective. No longer do they have the burden of using handheld devices. Wearable designs are ergonomic and simple to use. Specifically designed with workers in mind, they reduce the number of steps it takes to complete tasks. Your staff are probably already busy, so get them on board with plans to automate stock control. It would help business if you embraced new technology for new systems, software and devices for changes to work. You will need to invest a lot of time in training, and involve them in the whole process from the planning stages. A good way to get staff to buy in on your plans is to get them to try out different wearable devices. Ask for their feedback on each device. You want to know their positive and negatives thoughts about each one. After all, it is them that is going to be using them so you want their feedback before making final decisions. You will not keep everyone happy in the final choice. However, asking for their input will give them ownership of your changes right from the start. Artificial intelligence (AI) is starting to infiltrate 3PL warehouses. AI refers to machine learning. This is a form of computer science where computers can solve cognitive problems. They can recognise order patterns and solve problems. AI systems can learn to do specific tasks with little human interaction. While AI is still new for warehouses, Amazon is using AI to build its business. It optimises the speed of order fulfilment and their customer’s experience. Machine learning filters spam and use voice-activated assistants. It also translates the data like order numbers and inventory on hand flowing through a 3PL warehouse. The system turns the data into a language that is easy to understand. Machine learning system reports its findings without being specifically programmed to do so. For example, it identifies your inventory and order patterns, so you know what items are popular and needs reordering. It analyses customer demand for your products by interpreting order and return levels for each product. This cuts operational costs as you are not ordering products you do not need. It also improves customer service as you know exactly what is in stock. AI also has the ability to recognise speech for fulfilling orders. Using speech reduces mistakes when picking out the right products. It also speeds up the process of filling customer orders. Warehouse workers wear a headset that has a microphone and this links to the WMS. Workers receive picking instructions, such as the product and its location in the warehouse, from the WMS using the headset. Once they find the product, the worker reads out the product’s number and the quantity required. The system then confirms it is the correct item and quantity.